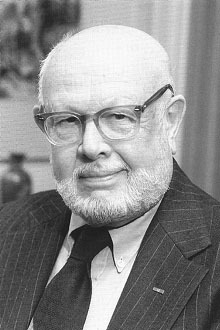 American astronomer William A. Fowler investigated fusion reactions, a process known as nucleosynthesis, which concerns the physics of how lighter chemical element nuclei fuse to create the heavier nuclei. He also studied gravitational collapse, light elements, neutrinos, nucleocosmochronology, and supernovae. With Fred Hoyle and the husband and wife team of Geoffrey and E. Margaret Burbidge, he authored the landmark 1957 paper "Synthesis of the Elements in the Stars", which shed light on the Big Bang by showing that any and all known elements could be produced by nuclear reactions in stars. He shared the 1983 Nobel Prize in Physics with Subrahmanyan Chandrasekhar. During World War II he worked on the Manhattan Project, the American effort culminating in the development of atomic weapons. He was known to friends and colleagues as Willy. Born in Pittsburgh, he was a lifelong fan of the Pittsburgh Steelers and Pittsburgh Pirates.